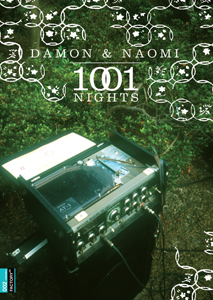 As well as announcing the Galaxie 500 reissues, Damon & Naomi also had plenty of news about their post-Galaxie 500 project. On 8 September 20|20|20 will release a compilation of the duo's Sub Pop years containing 74 minutes of tracks taken from the four albums released by the label. No tracklist as yet but as soon as I have one I'll post it. Later in September new Brooklyn based film and music label Factory25 will release 1001 Nights, a DVD compilation of live performances, tour films and videos. It includes the previously released "Song to the Siren" tour film and an unreleased "Japanese Scrapbook" film as well as live selections and three music videos. The DVD will be released on 29 September and will be available as a limited edition which will come with a vinyl LP of the Live in San Sebastian album. You can download the music video of "Song to the Siren" as a preview.